Hopdoddy's seasonal Mint Chocolate Cookie shake. Photo courtesy of Hopdoddy Burger Bar. Welcome to the non-holographic projection weekly roundup formerly known as Houston Food News Bites. Restaurant news is usually fun, but this week is a little grim. Paul Qui of Aqui stands trial this week for domestic assault and highlights the question of what role his actions play in whether or not to patronize his restaurant. On the good news side, a popular Bayou City bar expands operations and another favorite spot launches a happy hour. Best of all, February is National Chocolate Month, so read on for ideas of what to taste and which classes to take. Update 2/5/18, 1:24 p.m.: All of us who care about the outcome of Qui’s pending trial are going to have to wait longer for closure. Greg Morago of the Houston Chronicle reports that it has been rescheduled for May 1, 2018. 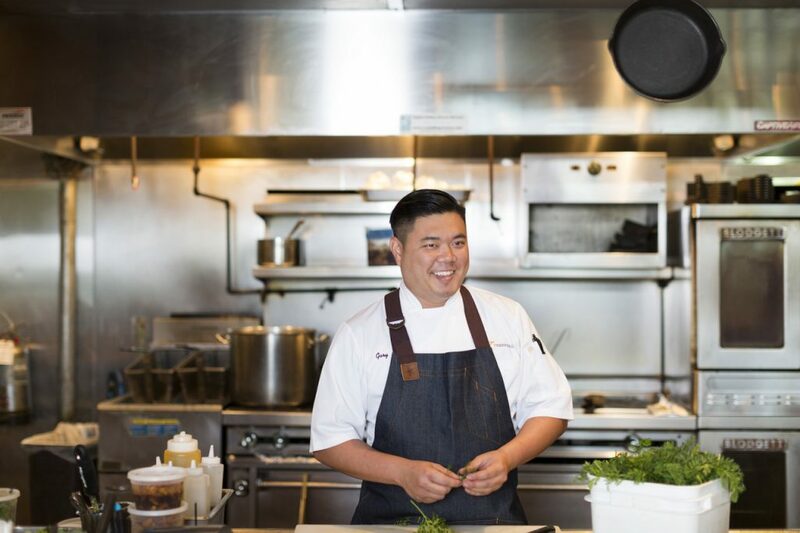 For those not up on the news, it goes something like this: Paul Qui, the chef-owner behind Aqui at 520 Westheimer, heads to trial February 5 May 1 on domestic assault charges. It stems from an incident that allegedly occured in August of 2016. He’s accused of assaulting his girlfriend while on drugs and in front of her small child. The approach to the sticky problem of Aqui by Houston food writers has been all over the map. It still managed to land on Alison Cook’s list of best new restaurants of 2017 for the Houston Chronicle. Houstonia’s Gwendolyn Knapp declared she’d never eat there. Just after the restaurant opened, Eric Sandler of Culturemap Houston wrote a positive first look, prompting Amy McCarthy of Eater Houston to hand him a pretty hefty raft of crap over it. Greg Morago wrote a great piece about the controversy in the February 2 issue of the Houston Chronicle. However, his first look article made no mention of the pending charges. Update 2/5/2018, 1:34 p.m.: Cook additionally just gave Aqui a four-star review—the second-highest in her rating scale—along with an explanation that exemplifies the conundrum that many of us food writers and editors are struggling with when it comes to an admittedly outstanding restaurant run by an owner with a criminal background. In December 2017, Houston Food Finder declined to recommend Aqui until the court has issued a verdict—and that should come (relatively) soon. As a team, we decided we want the chefs who land on our best-of lists to be both decent people and great creators in the kitchen. On social media—especially in wake of the #metoo movement—Houston’s most passionate diners have drawn battle lines between those who want to eat at a great place and think a chef’s behavior is secondary to his art and those who want nothing to do with Qui’s inspirations, no matter how earth-shakingly good they are. Redemption and penance are powerful things, and Qui needs to answer for his actions in a court of law. In the meantime, diners do have a choice about who they support. Enough serious stuff. Onward to some more lighthearted news. The Ginger Man, 160 West Gray: Longtime Rice Village patrons and beer buffs were aghast when Swamplot reported the 33-year-old Ginger Man pub was closing up shop. Reports of its demise, however, were premature—and not quite correct. Turns out, the watering hole is expanding its operations to the Fourth Ward, opening doors at the corner of West Gray and Webster. Once opened, it will be the seventh Ginger Man in Texas. Thirty-three years is long enough to both raise a kid and even end up with grandbabies. The Ginger Man might actually be responsible for a lot of Houstonians. Bosscat Kitchen + Libations debuts $5 food and $6 drinks for happy hour, five days a week. Photo by Julie Soefer. Bosscat Kitchen + Libations, 4310 Westheimer: The River Oaks hot spot launches happy hour on February 5, with a menu of munchies and drinks under $10. Chef Peter Petro’s bar bites include Dr. Pepper Wings, Pig Pickin’ Tacos, the Lil’ Burg and Bosscat Grilled Cheese with short rib for $5 each. Six bucks buys a choice of house wines, Texas draft beers and well drinks. The happy hour items are available from 3 to 6 p.m. Monday to Friday. For five bucks, grilled cheese with short rib could be habit-forming. Don’t say you weren’t warned. Hopdoddy’s seasonal Thin Mint shake. Photo courtesy of Hopdoddy Burger Bar. Hopdoddy Burger Bar, multiple locations: The shake of the month (pictured above) is the refreshing Chocolate Mint Cookie Shake. (If that sounds like a familiar cookie flavor for this time of year—yes it is.) It’s a seasonal offering, available from February 7 to 27. The shake includes housemade vanilla ice cream hand-spun with sweet, mint-white chocolate sauce and chocolate mint cookie crumbles. Topping it off is a generous mound of whipped cream and cookie pieces. Yes, this chocolate-mint shake will blow that resolution about eating better or losing weight. On the other hand, YOLO. 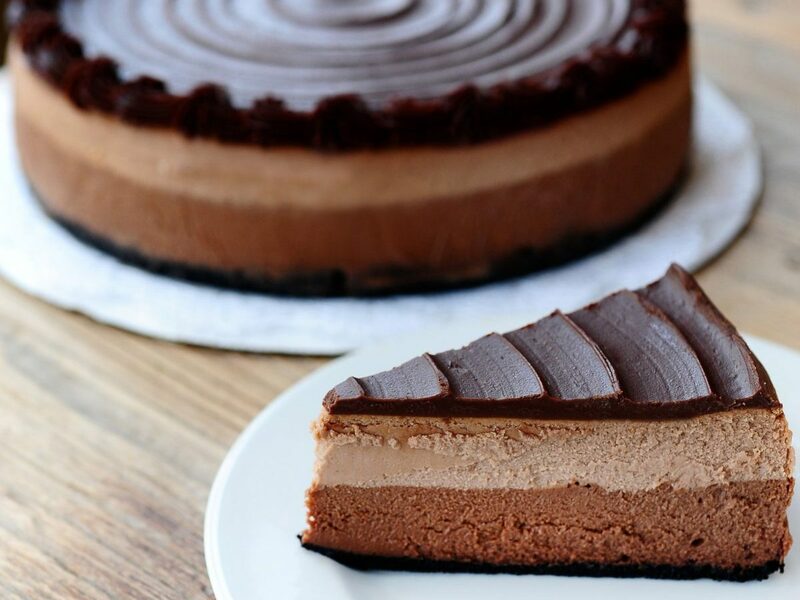 Ooh La La Dessert Boutique’s Triple Chocolate Cheesecake is a great idea for National Chocolate Month. Photo by Debra Smail. Chocolate Lovers, This Is For You! Ooh La La Dessert Boutique, multiple locations: Celebrate National Chocolate Month at the popular sweet spot with the triple chocolate cheesecake. It’s a multi-layered temptation of milk chocolate cheesecake, dark chocolate cheesecake, chocolate cookie crust and a rich ganache finish. It’s $6.50 a slice and $58.95 for the whole thing. Café Rialto, 1080 Uptown Park: Picture it: New York City, after dark, 1947. Sinatra steps to the mic as Dorsey raises his baton and the orchestra rolls into “Blue Skies.” The atmosphere’s electric as couples crowd the dance floor. It’s a gas, babe. Now, picture this: Houston. Uptown Park. February 10. Houston’s beautiful people tuck into a four-course dinner then hit the dance floor, moving to the city’s hottest music acts. This is Cafe Rialto, baby, the Hotel Granduca’s in-house supper club, launching just in time for Valentine’s Day. The swanky hotel’s Salone Rialto ballroom will be transformed for the pop-up, old-school dinner-and-dancing evenings, which will continue to be held on the second Saturday of evening month at 7 p.m. Tickets are $275 per couple and $150 per person; purchase by calling (713) 418-1004. Update, 2/5/2018, 2:16 p.m.: A representative for Hotel Granduca emailed to say the price has been reduced to $75 per person, with an optional wine pairing for $45. In addition, the event now starts at 7:30 p.m. Guests will receive complimentary valet parking and can present their Café Rialto ticket to the concierge to receive a special room rate for that night. Here’s a little Sinatra to get you in the proper dinner club mood. The Original Ninfa’s on Navigation (the restaurant founded by the late “Mama” Ninfa Laurenzo) and El Tiempo Cantina (the Tex-Mex chain ran by her descendants) are hosting Tacos Over Texas to raise money for the Ninfa Laurenzo Scholarship Fund. Tickets for the April 8 event are on sale now. Seventeen chefs have signed on to bring their taco A-Game to the competition, including Robert Del Grande (Café Annie), Domenic Laurenzo (El Tiempo Cantina), Alex Padilla (The Original Ninfa’s on Navigation), Johnny Carrabba (Carrabba’s Italian Grill), Justin Martin and Elliot Roddy (Fuel Kitchen & Health Bar), Michael and David Cordúa (Cordúa Restaurants) and Sandy Tran and Anne Le (Tout Suite). There will be libations, entertainment, live music, a silent auction featuring many unique travel opportunities and tacos. Before asking whether Houston really needs another chef competition—DID YOU NOT HEAR US SAY TACOS? Yauatcha, 5045 Westheimer: Celebrating its first Chinese New Year in Houston, the restaurant kicks off 11 days of festivities with a special menu and a Chinese lantern installation. Diners can mark the Year of the Dog with dishes such as a Chilean sea bass roll, which symbolizes financial prosperity, and others thought to bring good luck. The menu will be available from February 5 to March 4. Yes, I’m sure most dogs think every year belongs to them. Or is that cats? Chef Gary Ly makes wonton noodle soup as part of Eight Row Flint’s Outdoor Cooking Series. Photo by Julie Soefer. Eight Row Flint, 1039 Yale: The Heights restaurant continues its Outdoor Cooking Series with chef Gary Ly.He’s making wonton noodle soup, which will be available beginning at 5 p.m. until it’s sold out. Part of the team that opened Revival Market in 2011, this will be Ly’s final dish in Houston before moving to New York for a new job as sous chef at Momofuku. The only question is whether he can now help us get past the wait at Momofuku in under 45 minutes. Backstreet Cafe, 1103 South Shepherd: The restaurant’s popular Garden Parties return this week. Sommelier Sean Beck leads a class where guests will blind taste eight different wines, two similar varieties at a time. It’s a chance to learn about wines and maybe find a new favorite. Light bites will be served and guests can enjoy happy hour pricing when the course concludes.The class begins at 5:30 p.m. and the cost is $35 per person. Tickets may be purchased by calling (713) 521-2239. This kind of wine tasting reverses the order of things; you start “blind” instead of ending up that way. Roka Akor, 2929 Weslayan: The Japanese steak, seafood and sushi restaurant hosts a four-course wine dinner with New Zealand-based winemaker Loveblock. Founder Erica Crawford will discuss the wines and the accompanying menu includes an expansive nigiri spread and Snake River Farm wagyu. The dinner begins at 7 p.m. and tickets are $99 per person, plus tax and gratuity. For reservations, call (713) 622-7777. Do you ever wonder why we only hear about New Zealand wine and never the food? We want to get down on some Afghan cookies like a pair of Hobbits on the run. Central Market, 3815 Westheimer: Chocoholics, rejoice! This class pairs four artisan chocolates with beers and wines and also offers cheese and charcuterie samples. Guests receive a goody bag with the featured sweets. The class begins at 5 p.m. and costs $35 per person. Register online. If a complete amateur makes chocolate, is it still artisan? The Tasting Room, 818 Town and Country: The CITYCENTRE wine bar teams up with blogger It’s Not Hou It’s Me and leggings manufacturer lululemon to offer a combined yoga class and happy hour. Yoga on the Green goes from 4 to 5 p.m., followed by a rosé tasting with Lorenza Winery and light bites from 5 to 7 p.m. This is the best excuse for yoga we’ve ever heard. The Italian Cultural and Community Center, 1101 Milford: Date Night in Umbria is the theme for this hands-on cooking class. Letizia Mattiacci, the author of A Kitchen with a View, teaches participants how to make strangozzi alla norcina con tartufo, a pasta dish with sausage and truffles; and ciambelline all’olio d’oliva e vino, or ring-shaped cookies made with olive oil and wine. Both dishes are traditional to the Umbria region. If you can’t get to Umbria in person, at least your tastebuds can go. 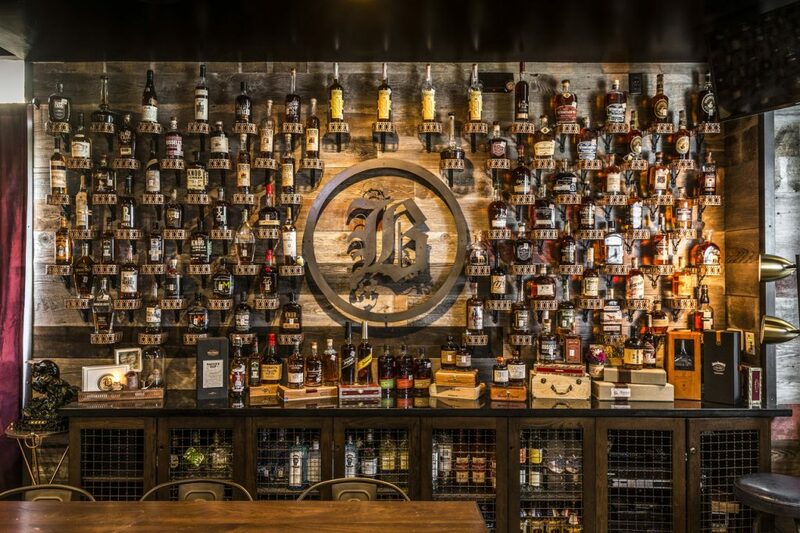 Hotel Zaza, 5701 Main: The boutique hotel plays host to the Spirit Forward Bacardi Women In Leadership Empowerment Series, championing outstanding individuals in the hospitality industry. Speakers for the day include Alba Huerta, Bobby Heugel and Jessica Sanders. Tickets are $40 and may be purchased online. One of these speakers is not like the others. Even though I just finished a good meal your articles aleays make me ready to get out and tuck into a new dish. Thank you always for new places and flavors to explore. I believe NPR did a piece on the #metoo movement in the culinary arts community. 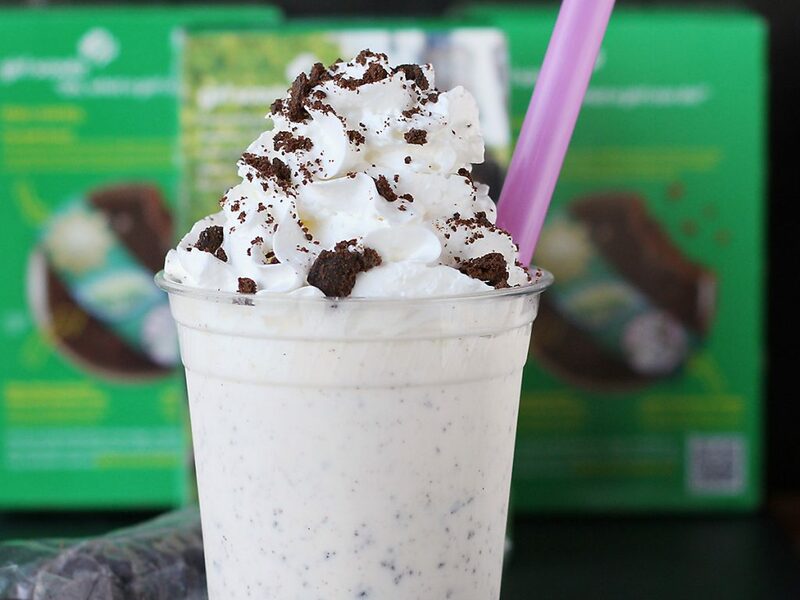 On a completely different subject, I need that Thin Mint Shake.